Collecting Asylum: Entries to the Asylum - Sunday 27th March 2016. Entries to the Asylum - Sunday 27th March 2016. - Five Nights at Freddy's 4-Pack #1. 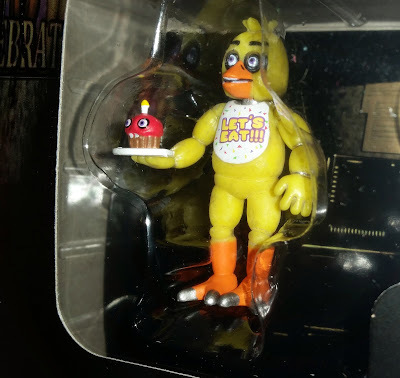 Pack contains 4 figures: Chica, Foxy, Golden Freddy and an Animatronic Skeleton. 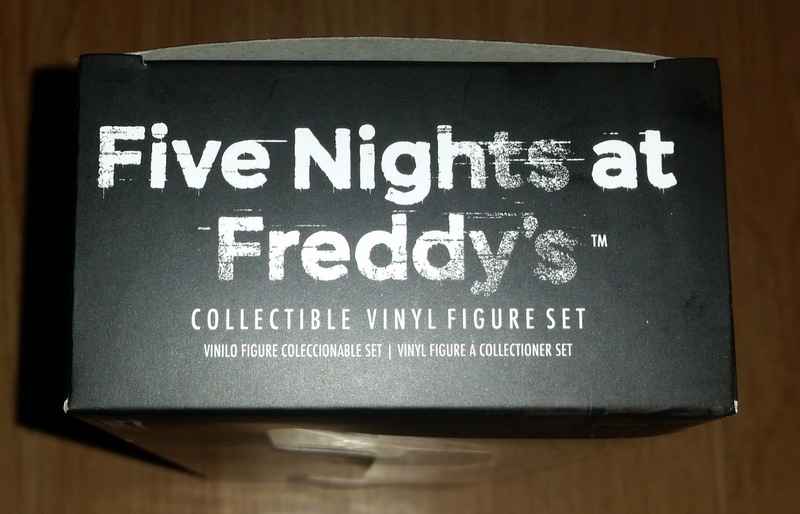 The first pack of Five Nights at Freddy's toys to be released by Funko; the rest all set to be released at some point in May. And before anyone is horrified by us buying FNAF toys for our son, he loves watching Youtubers play the game. He saw Markiplier playing once way back, when we were watching and he was instantly hooked. Set One, this set, shown on the left. Set Two, which AJ is super excited for shown on the right. And I've said it before, and I'll say it again, age ratings/recommendations on games and other media; we don't take them too literally. I played the GTA games from a young age. I was playing Vice City from when it was released (when I was 10), and then every other one after that, too. And plenty more. Sure, we monitor what games he gets to play, and we don't buy him the "older" ones, but if he sees us playing a game and he wants to play, then we'll let him play. Some may be horrified at that, heck some may even call us bad parents, but a bad parent that does not make. Our son knows that what happens in games is "bad", in the sense that if he sees someone being beat up, or killed, he understands. He has been allowed to play Mortal Kombat in the past, but only alongside one of us. He watches his cartoons on Netflix, and long ago he put on Child's Play, and it became his favourite movie for a heck of a long time. That was then followed by the Friday the 13th movies. People nowadays think these things are horrifying, but when I was little I loved the Scream movies. I loved Saw. The Ring and Jeepers Creepers were other regulars for me. I'm fairly used to horror movies now, and can handle watching most things. The one that scarred me from my childhood wasn't a horror, it was ET. AJ enjoys his horror movies, sure there's a lot we wouldn't allow him to watch for the sheer fucked-up-ness of them, but there's also a fair amount that he does get to watch (and play), that probably a lot of other kids his age don't get to. He has played and enjoyed many games out of his age range. Mortal Kombat, Dead Rising (3 in particular), Super Meat Boy and Binding of Isaac were two others that people would possibly take umbrage to. He enjoys them, and he likes that he gets to play them, but more often than not he will be playing Trials Fusion (pretty much a permanent fixture in the daily life of AJ), Rayman Legends or Rocket League. He also loves to watch Youtubers making videos of themselves playing games. Particularly Jacksepticeye, Markiplier and of course Pewdiepie. So naturally, the games that he sees them playing, he wants to play. We tell him that sometimes a game might be too scary for him to play, or that you need to be bigger to play, and he accepts that for the most part, but sometimes he will try to convince you that it won't be scary, because he's seen it being played on Youtube. 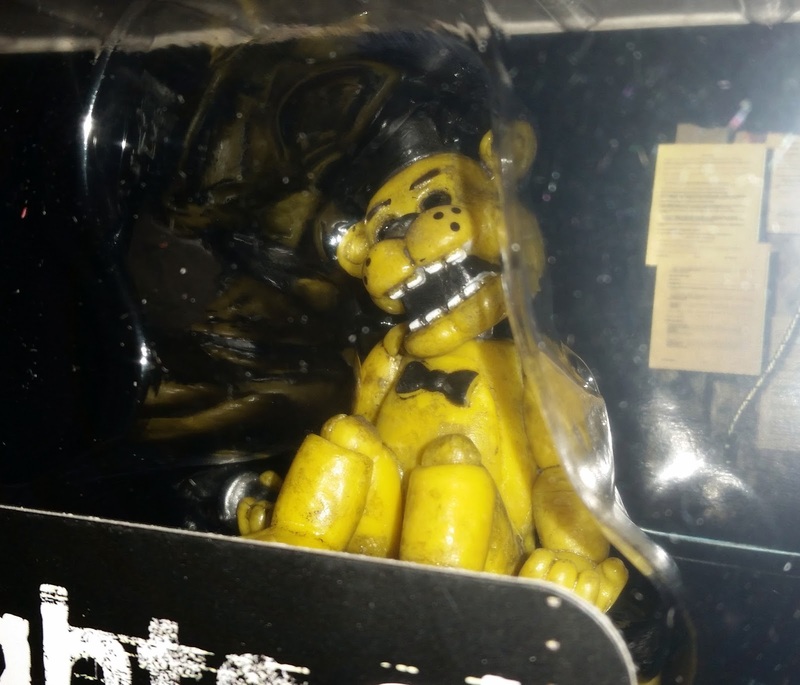 FNAF was one such game. He was in love with the characters. And possibly even more so, the songs by The Living Tombstone. 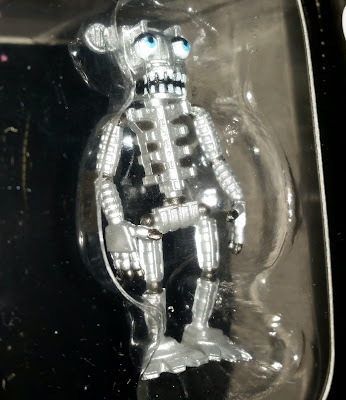 Every day, you hear him singing along (as best as he can), and he talks about how his favourite character is Bonnie. 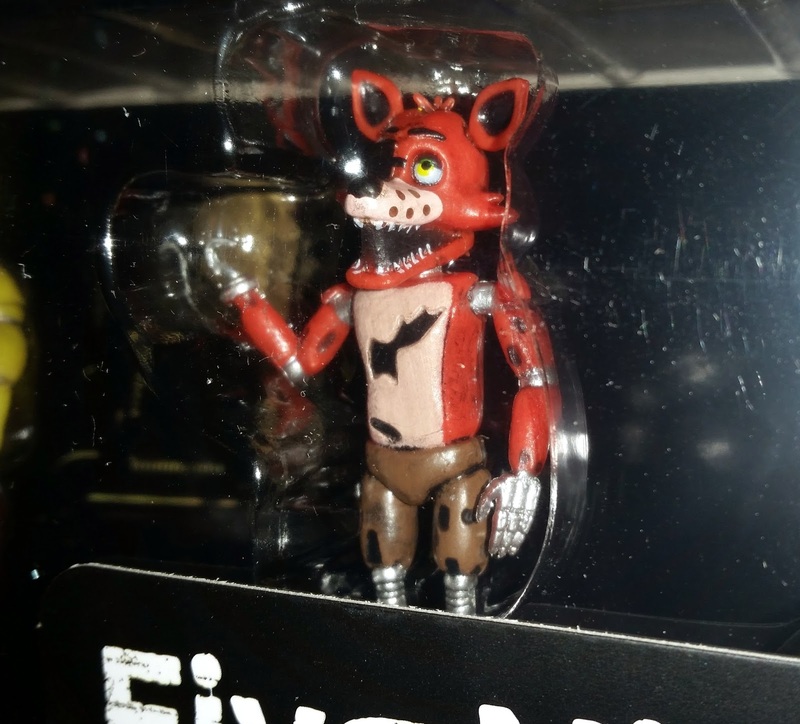 He discovered a video on Youtube of someone showing off toys at a convention, and FNAF toys were some of the toys featured, and he was ecstatic, so we knew he had to have them. Unfortunately, they all drop in May (the busiest month for games this year, so far), but we'll definitely make sure to get him more of the toys (especially after how happy he was with these ones yesterday). However I am slightly disappointed in the pricing of them, as this pack cost us almost £30, and the figures (albeit it did state 2 inch on the pack) are tiny! However, the shipping from the States did constitute a fair bit of that, so combining shipping on everything else will help. The paint jobs also aren't the greatest, but that's probably to be expected for a fairly tiny set of toys. What are your opinions on age ratings on games? And have you picked up the first pack of FNAF toys? Entries to the Asylum - Saturday 26th March 2016. Entries to the Asylum - Friday 25th March 2016. Thoughts on Thursday: 24th March 2016. Entries to the Asylum - Saturday 19th March 2016. Thoughts on Thursday: 17th March 2016. Entries to the Asylum - Monday 14th March 2016. Entries to the Asylum - Saturday 5th March 2016.